You know I'm a sucker for cute & whimsical packaging. So when I saw these, it was instant attraction. 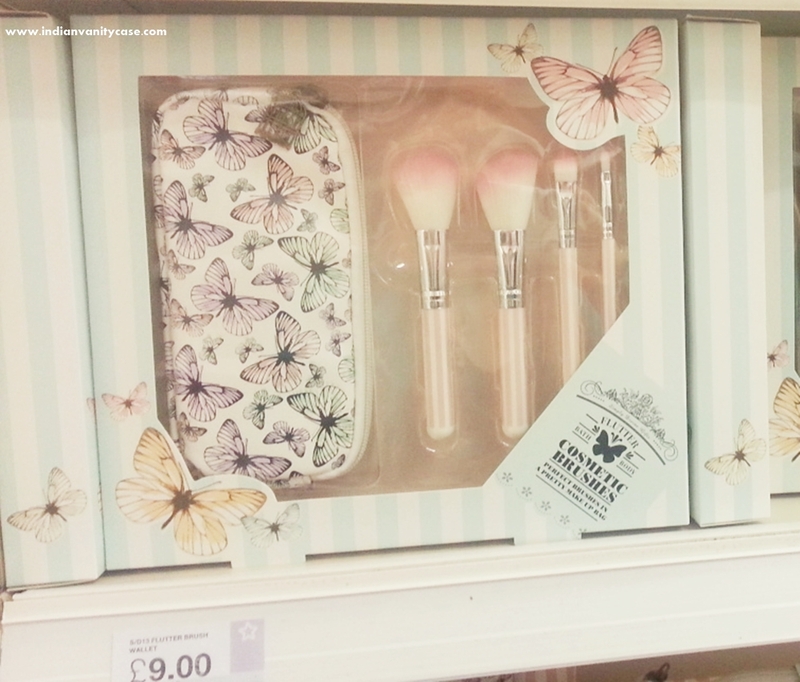 Pink brushes with white stripes on the handle & a butterfly printed pouch with a birdcage zipper. Ooh, and that outer BOX! 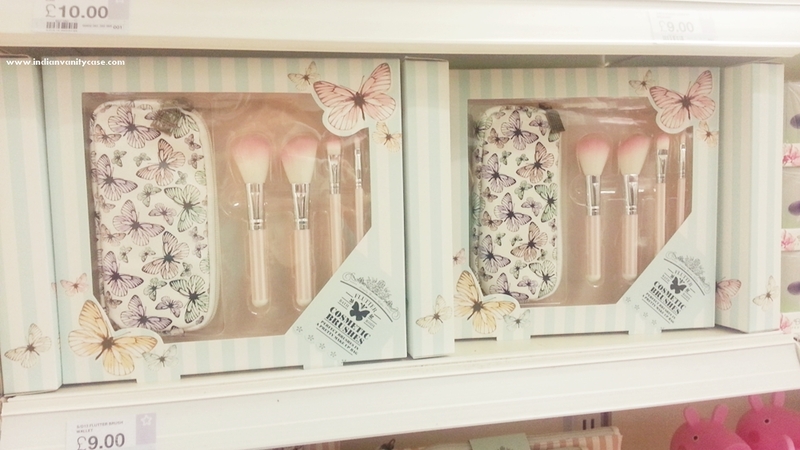 I'm not sure about the quality/softness of those brushes, but how bad can they be? I could do with another powder brush, and that tiny lip brush. Price of this brush set: £9 | Rs.900. Never heard of this brand ever! But 9 pounds is a okay price, pick them up. Even if they dont work your pocket will not hurt. Cute.. But waste of money!! Cute, but I've seen better. Control the impulse and hunt for something even better and worth it!